Managing any office’s important documents is important, but when it comes to medical records, it is crucial that they are up to date and handled responsibly. Not only are these records crucial for your business practices, but they also contain information in regards to hundreds (if not thousands) of patients. The healthcare industry has been using traditional filing systems for decades, but more and more practices are converting to electronic medical records and a paperless office to increase efficiency and to streamline their medical records management plan. Electronic Medical Records, or EMRs, compile all your information into a secure digital format instead of document and re-entering that data from a paper form. And EMR makes it easier to transfer information to other providers for you, and allows doctors to access your entire medical record and history quickly and easily. EMRs also give you the ability to send and receive patient information, bills, test or lab results, and prescriptions digitally instead of having to come into the office for the good (or bad) news. In case of an emergency, your EMR includes your entire medical history and any allergies or your allergies, potentially preventing a catastrophic mistake that could cause an accidental death due to an adverse reaction. It makes sense to have hard copies of current or new patients on hand in the office, but what about those patients that you see every few months, or once a year? Archiving older medical records in a secure offsite facility makes it easier to find current patient files and eliminates the chance any patient files getting misplaced. Offsite medical records storage also provides you with a secure backup to protect against fire, flood, natural disasters, and theft. Storing archived medical records and critical business files in a secure offsite locate reduces the chance of the inadvertent destruction of your patient’s medical records. Get Free Quotes on Electronic Medical Records Software Today! 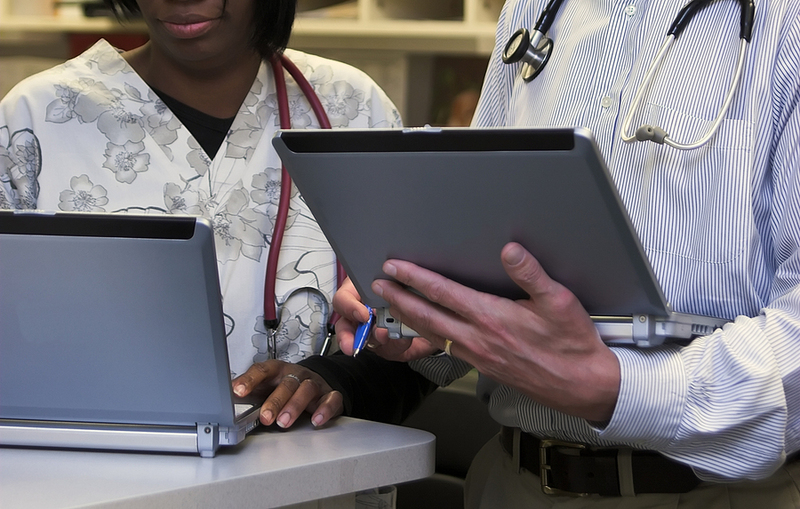 Choosing the right EMR is critical for a smooth transition. Accurate medical records scanning and a doctor’s review of each record is also necessary to ensure that the system is capturing all the data once the conversion is complete- and indexing it properly so you can find it easily. Record Nations specializes in making the transition simple and cost-effective for practices of all sizes. If you’re looking for a quote on Electronic Medical Records Software, please fill out the form to the right, or give us a call at (866) 385-3706.